Demetrious “Mighty Mouse” Khrisna Johnson was born on the 13th of August 1986 in Madisonville, Kentucky, US. He is the current reigning defending UFC flyweight champion and the only champion in the divisions history. He is known as the best martial artist in the world, according to Joe Rogan, ESPN and MMAweekly. At time of writing Johnson had 10 consecutive title defenses, tied for most defenses with Anderson Silva. He trains with the legend Matt Hume at AMC Pankration in Kirkland, Washington. He is married with two children. He is also an avid Twitch streamer under the alias mightymouse125. Demetrious Johnson made his MMA debut in april of 2007 and won by knockout in the first round. He has competed for King of the Cage, World Extreme Cagefighting. When he signed with WEC he was undefeated at 10-0. He lost his first fight in WEC against the veteran Brad Pickett. After two more wins in WEC, the WEC was folded into the UFC. Demetrious Johnson made his UFC debut at UFC Live 6 against Dominick Cruz. Johnson lost the fight via unanimous decision. 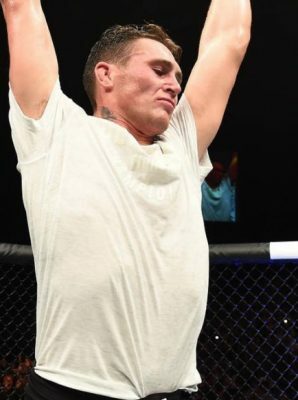 He moved down in weight to the newly created flyweight division and fought Ian “Uncle Creepy” McCall to a draw in his first fight, which was supposed to be a semi final of the flyweight tournament. The rematch a couple of months later ended with Johnson winning a decision. In the finals of the tournament he fought Team Alpha Male product Joseph Benavidez. Johnson won the fight via split decision. During his reign, Johnson have defended the title against the best of the best in the division. He fought greats like John Dodson (twice), Ali Bagautinov, Tim Elliott and beat them by decision. He finished John Moraga, Kyoji Horiguchi and Henry Cejudo during his reign as well. The submission by armbar versus Horiguchi in the last second of the last round, is the latest stoppage in UFC history. In Johnsons latest fight he faced BJJ black belt Wilson Reis and finished him by armbar in the third round. 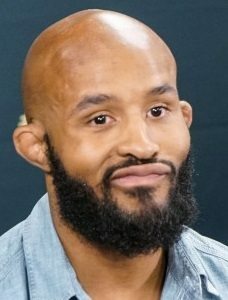 Demetrious Johnson will face Ray Borg at UFC 216: Johnson vs. Borg in Edmonton, Alberta, Canada on the 9th of September.